The weather office has also issued a warning for thundery rain in the early hours as well as windy conditions and high seas in offshore areas on Tuesday. Accordingly, the department has urged people to be cautious and avoid all marine activities in view of the expected conditions. 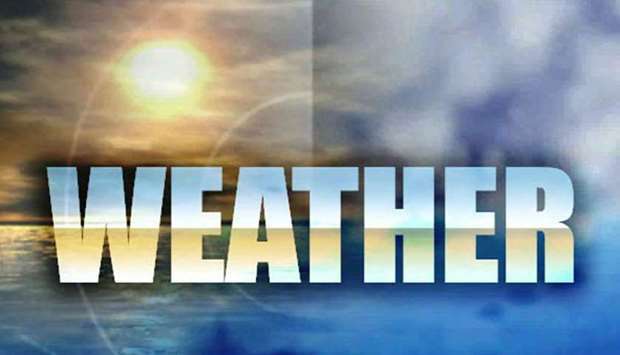 In an update posted on social media on Monday, the department said strong northwesterly winds were expected to affect the country until this evening, resulting in blowing dust and low visibility, especially in open areas. The winds are also likely to cause high seas and a noticeable drop in temperature compared to the previous days. While the windy conditions are expected to ease from this evening, the marine warning will continue until Wednesday, the weather update states. The country received some showers on Monday, and the chances of scattered rain (which may be thundery at times) will continue until Tuesday dawn, the update adds. Sporadic light rain was reported from a number of places since last morning, and thundershowers were also witnessed at times, including in Abu Samra and some northern areas. There were also reports of thundery rain accompanied by hail in some of the northern areas, with people posting images and videos of the same on social media. Doha, too, received some rain in the morning and evening. Tuesday’s detailed forecast says moderate conditions will prevail during the day along with some clouds, and some places will experiences slight to blowing dust at times. It will be cold by night. Offshore areas, too, will see partly cloudy conditions and there is a chance of scattered rain at first, which may turn thundery occasionally. The wind speed (northwesterly) will be 15-25 knots inshore, going up to 30 knots at times before falling to 10-18 knots by night. Offshore, northwesterly winds will blow at a speed of 18-28 knots, reaching a high of 30 knots, while the sea level may rise to 13ft at times. Visibility, meanwhile, may drop to 3km or less in some places. The minimum temperature on Tuesday is expected to be 14C in Mesaieed, Wakrah and Al Khor, 15C in Dukhan and 16C in Doha, Abu Samra and Ruwais. The maximum, on the other hand, will be 18C in Ruwais, 19C in Dukhan, 20C in Al Khor, 22C in Doha, Wakrah and Mesaieed, and 23C in Abu Samra. In comparison, the minimum temperature on Monday ranged from 19C in Ghuwairiyah and Shehaimiya to 21C in Doha, Al Khor, the Qatar University area, Hamad International Airport area and Abu Hamour. The maximum was also higher on Monday at 30C in Abu Samra, 28C in Karana and Turayna, and 27C in Jumayliyah and Batna. Doha saw a high of 25C on Monday.